PAX BRITANNIA: YOU ARE THE HERO ends today! 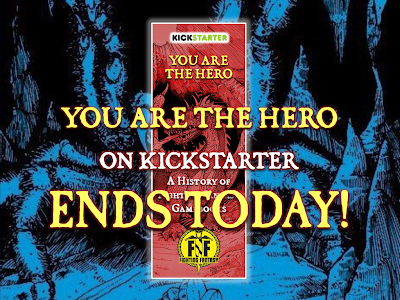 The YOU ARE THE HERO Kickstarter ends at 3.00pm GMT today! It's still not too late to back the project yourself - or to up your reward level if you've already pledged - so check out the YOU ARE THE HERO page today and help make this the very best book it can be!